and postmarked by June 17th, 2019. 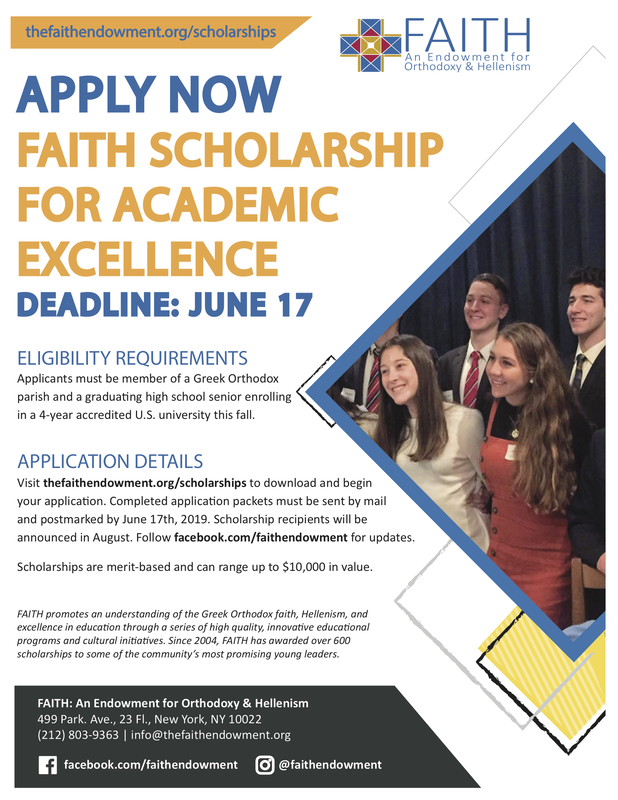 Scholarship recipients will be announced in August. Follow facebook.com/faithendowment for updates. Scholarships are merit-based and can range up to $10,000 in value. 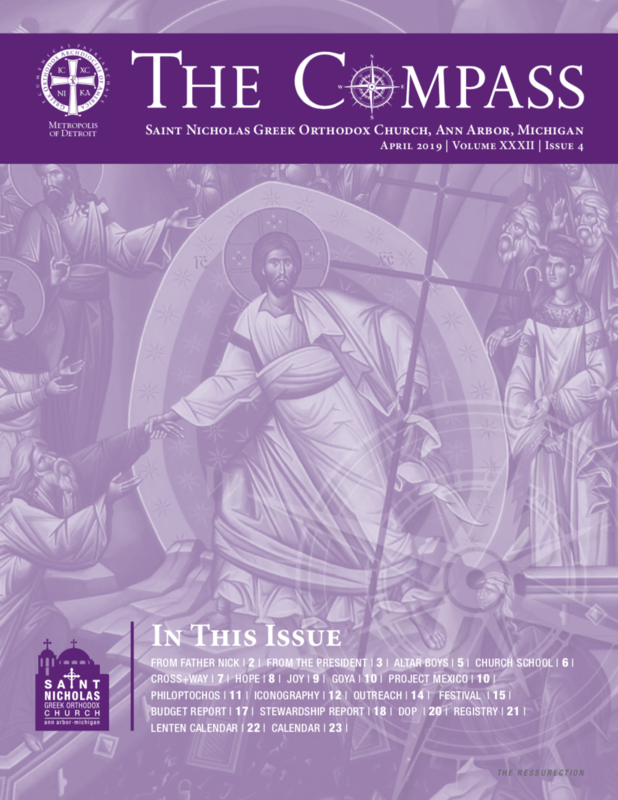 Dear parishioners, our Compass newsletter of April 2019 is now available. It features articles from our Priest; the Parish Council President; ministries updates; financial information; Greek Festival; the registry, the Lenten Calendar of events and the monthly calendar. ​Thank you all for your love and continuous support of our St. Nicholas parish. We would like to thank all the altar boys and their families for attending the April 13 Retreat. 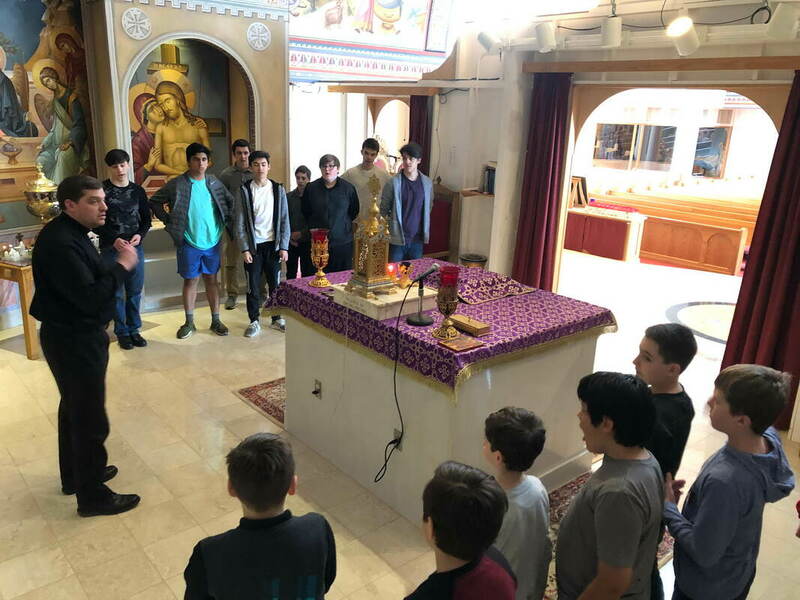 They learned about their responsibilities and duties in the altar, the meaning of the Divine Liturgy, tonsure of acolytes (readers), and also did some clean up in the altar area. Sponsored by the St. Nicholas Ladies Philoptochos Society. 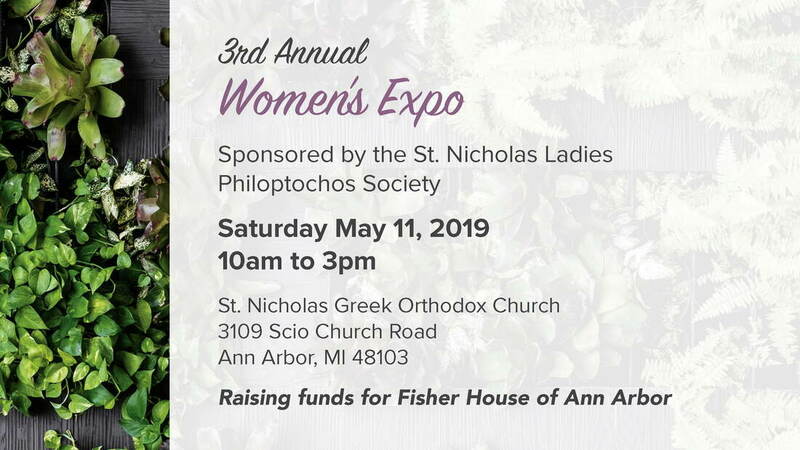 Join us on Saturday, May 11, 2019 at St. Nicholas Church. Read the latest issue of the National Philoptochos Society newsletter of April 2019. 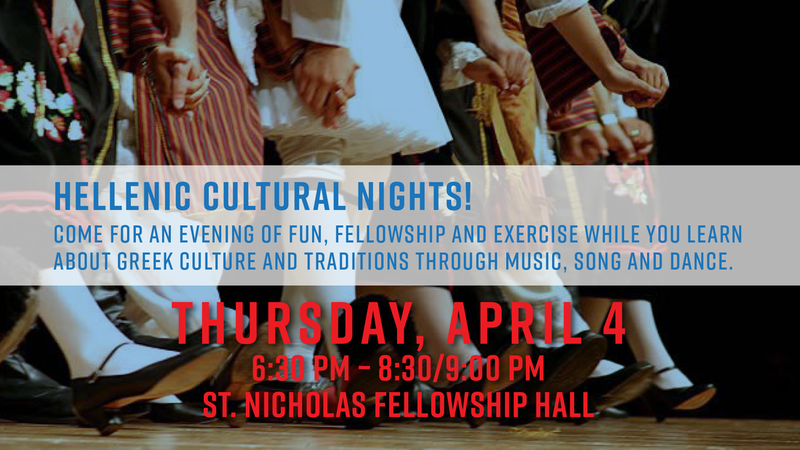 Join us for an evening of fun, fellowship and exercise while you learn about Greek culture and traditions through music, song and dance. 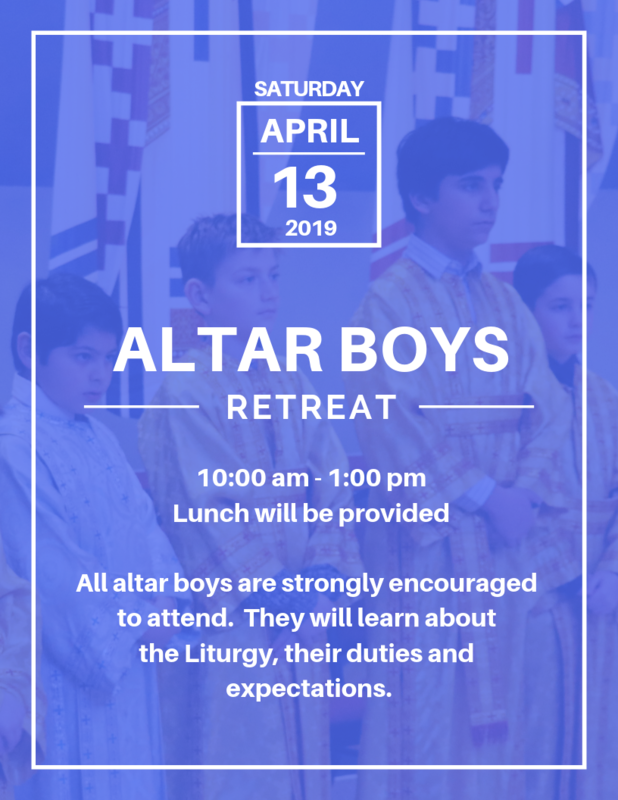 All our altar boys are invited to attend a retreat on Saturday, April 13, from 10:00am to 1:00pm. 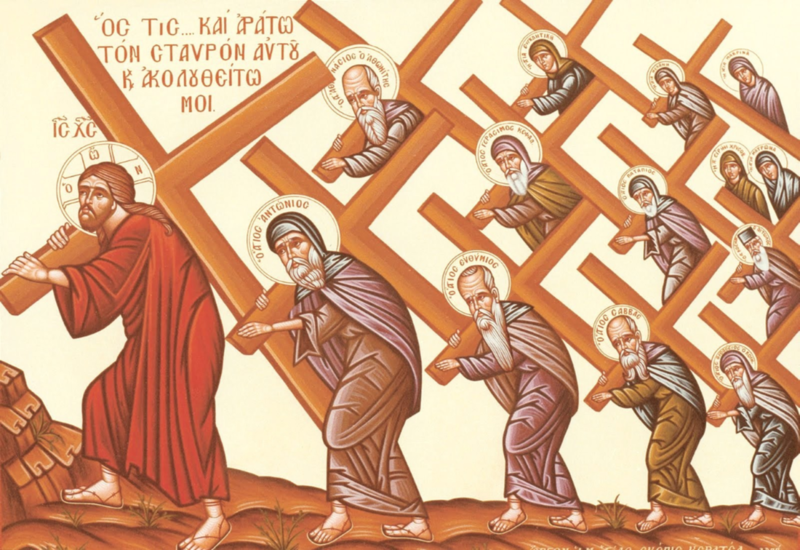 The purpose of this retreat is to teach them about the Divine Liturgy, their duties and expectations. Lunch will be provided. 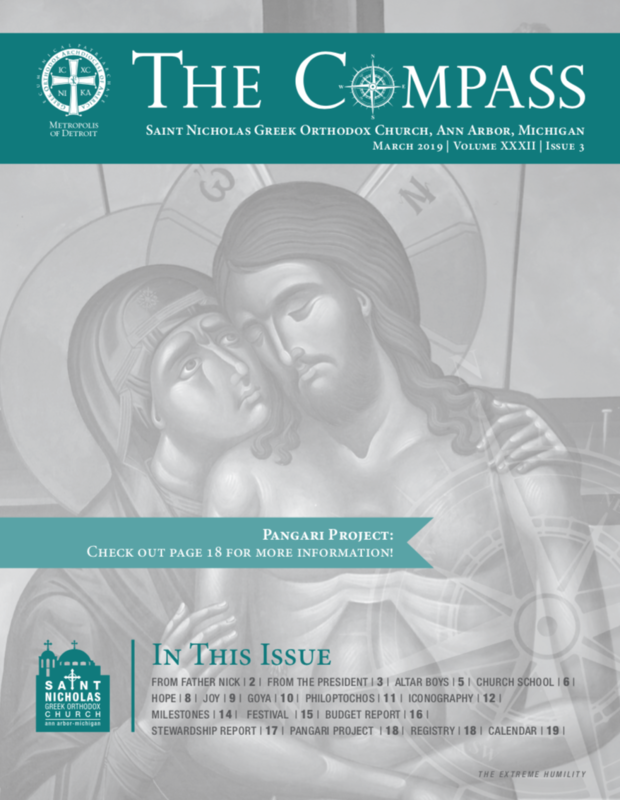 Dear parishioners, our Compass newsletter of March 2019 is now available. It features articles from our Priest; the Parish Council President; ministries updates; a call to support a new Pangari project; financial information; Greek Festival; the registry and calendar. St. Nicholas Greek School invites all of you to their annual Mardi Gras Dinner Dance on Saturday, February 23, 2019 at 6:00 pm. This is their main annual fundraiser. Please support them.